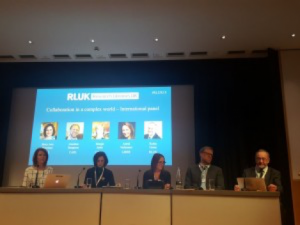 For another year, the RLUK conference brought members of the library community together with academics and other information and collection professionals to discuss the role and values of the modern research library. 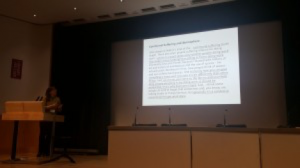 The conference took place at the British Library on 14-16 March 2018 and it entailed keynote, panel and speed presentations as well as workshops on a variety of topics which had openness, diversity and inclusion at their core. Before the formal opening of the conference, we had the opportunity to meet with colleagues from OCLC in the context of a workshop delivered by the OCLC Research Library Partnership. 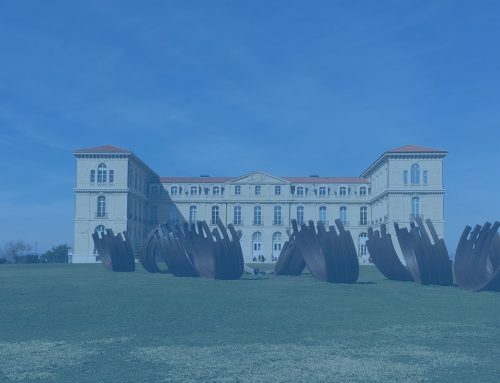 There, we learnt about the results of the OCLC Research European Innovation Survey and the recent OCLC work on special collections and archives and discussed current collaboration opportunities around collections. 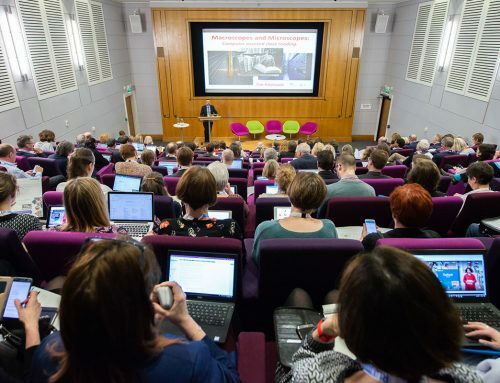 The RLUK Conference 2018 opened with a keynote speech by Roly Keating who, based on his experience as the Chief Executive of the British Library (BL) for the past five years, discussed the double role of the BL as a research library and cultural institution that supports scholarship and learning internationally. For this purpose, he drew on innovative initiatives and programmes led by the BL, such as the move to large-scale digital collecting through legal deposit as well as the BL labs and EthosBL. Moreover, he commented on the success of BL’s digitation initiatives and exhibitions which have attracted visitors not only virtually, but physically as well. Keating closed his speech by referring to the challenges that lay ahead for research libraries, especially regarding data access, storage, preservation and ethics. The panel presentations that followed looked in more detail at some aspects of the expanding scope of the modern research library; the matters explored ranged from open access and surveillance to library branding and collaboration. 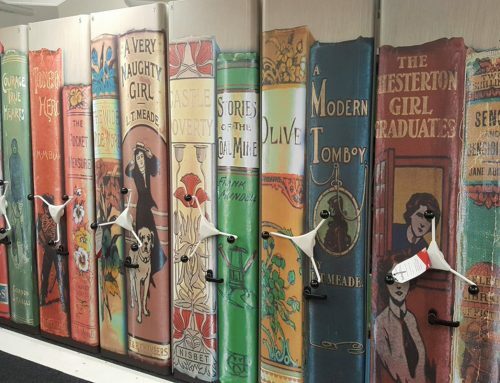 Through addressing issues around access to the library’s holdings and space (digital and physical) past predictions about the future of the research library were challenged. For example, it was demonstrated that the physical collections and space are still an important part of the library’s ‘image’ as users/visitors value the unique types of experience they offer; according to Philippa Sheail’s presentation (Fig. 1), ‘communal suffering’ (from student quote) and the sensory experience (e.g. smell) were two of these types. In the afternoon, speakers provided interesting examples of the steps taken by libraries in championing social values internationally. Therefore, we had the chance to hear about cross-sector collaboration in Canada and the OCLC survey resultson how libraries work towards achieving equity, diversity and inclusion. 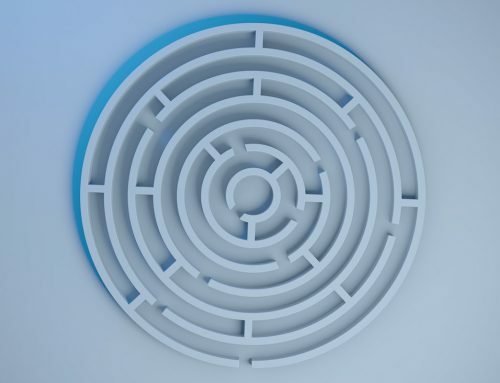 Some of the challenges that relevant initiatives often involve were also mentioned, including issues around organisational structure, recruiting diverse staff or building relationships with various communities. The last panel comprised representatives of the IARLA group who focused on issues that concern research libraries internationally, such as scholarly communication and the copyright reform, and discussed how these can be addressed through collaboration (Fig. 2). It is worth mentioning that the group has recently issued a values statement that forms the basis of relevant discussions. A dinner in the premises of the British Library closed the first day of the conference. Prof. Julia Black (LSE) and Catherine Stihler (MEP for Scotland) delivered the keynotes of the second day of the conference. Through looking at the history and development of the university, Prof. Black discussed the role of the research library and its relationship with its users while she highlighted the importance of articulating the values of our professional practice along with its value. On the other hand, Stihler focused on the EU copyright reform and gave an overview of the related debate in the European Parliament. At the moment, the developing copyright reforms are highly restrictive and can affect an array of library and research activities, from digitisation and text and data mining to scholarly communication and AI and machine learning; thus, she called for a more balanced approach that takes into account the public good and does not focus solely on commercial benefits. Next, the discussion moved to open access in practice which helped to remind us the advantages of working towards making information accessible to all and which go beyond the REF, to the increase of the dissemination of research and the widening of education. 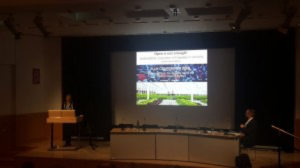 As part of this conversation, we heard about the EThOS resource and the BL’s strategy for shared repository services which aim not only to facilitate openness but also add value to open content and provide robust digital infrastructure. Finally, we had the opportunity to learn about the publishing model of the White Rose University Press and their experience so far in opening up research since its establishment in 2016. The afternoon comprised sponsor and speed presentations as well as workshops on a variety of topics, such as special collections (e.g. see Fig. 3), skills and professional development, digitisation and digital technologies, digital scholarship, open access and copyright, and collaboration. It is worth noting that the prize for the best speed presentation (available online) this year was awarded to Joseph Marshall (University of Edinburgh). Many congratulations! The final day opened with a keynote by Prof. Dan Cohen(Northeastern University) (Fig. 4) who addressed questions around the position of the library nowadays as well as the users’ perception of it. Thus, he talked about the ‘networked library’ and the growing need to collaborate across institutions, while highlighting the potential of digital technologies in facilitating co-operation (e.g. through our virtual collections). 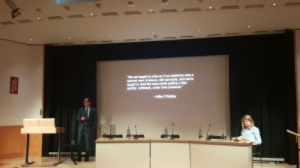 On the other hand, Prof. Cohen discussed the role of libraries as ‘interfaces’ and how they can enhance the research process through enabling users discover ‘appropriate’ information in an era when this task becomes increasingly overwhelming. 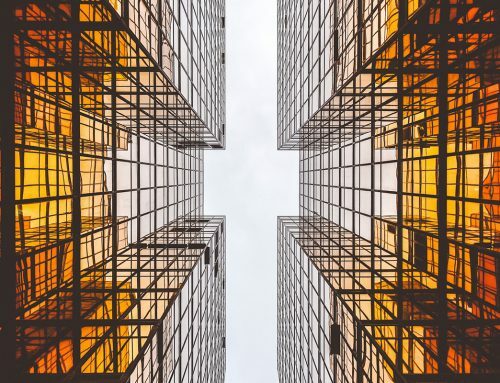 According to his talk, the research library of the future should strive to do what it does best while looking to preserve and ‘tell’ the stories of communities through collecting relevant digital ‘of the moment’ data. Better communication with colleagues and users is also necessary for achieving ‘togetherness’. The morning session that followed aimed to give an idea of the way(s) inclusivity, diversity and openness are achieved in the museum sector. Hence, the discussion began by raising issues around openness in our collections, the role of conservation and the engagement with our audiences. Moreover, the stories that our collections can ‘tell’ as well as their potential to trigger emotion became apparent through the example of the ‘War Child’ project. 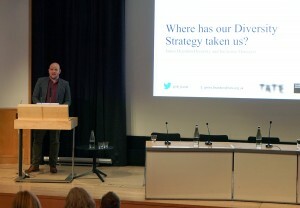 In this panel, the ways to increase diversity and inclusivity in our staff and professional practices were also examined through using Tate’s recent ‘Diversity Strategy’ as an example (Fig. 5). In the final panel, different approaches towards openness in information access and research were discussed; the idea of open access as ‘commons’ is one example. Apart from that, a call was made for more collaboration between librarians and research administrators; as it was argued, researching the literature showed very little dialogue between the two professions. Lastly, through looking at the University of Manchester Library’s strategy, we heard about the opportunities for supporting open research through a number of services, including data management and citation analysis. The last keynote from Kathleen Shearer (COAR) (Fig. 6) focused on the potential of repositories as global infrastructure for scholarly communication. During her talk, Shearer critiqued the current academic publishing landscape and commented, especially, on the format of the academic journal which has remained largely unchanged for the last 350 years. She suggested that collaboration at scale is needed in order to change the current scholarly communication environment and proposed a number of criteria that the next generation of repositories should meet, such as being trusted and publicly managed and enabling interoperability. David Prosser (RLUK) closed this year’s conference by summarising some of the key themes that emerged through the discussions that took place over three days. 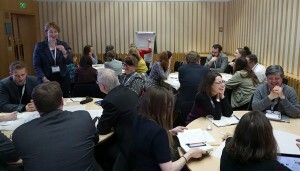 ‘Togetherness’, ‘collaboration’, ‘communal suffering’, ‘storytelling’ and ‘sharing emotion’ were some of the key issues that arose throughout the conference and which reflect not only some of the strengths of our libraries but also give a glimpse of the future towards which research libraries are working. 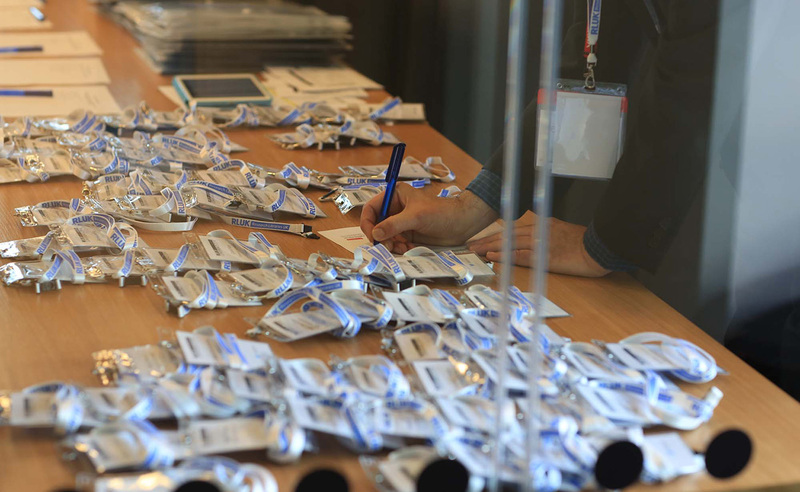 Videos of the RLUK18 conference talks can be viewed at http://rlukconference.com/.